This week I had the pleasure of watching a "Cutting" demonstration. Cutting is a process of a cowboy working with a skilled horse to separate a single cow out of a herd. 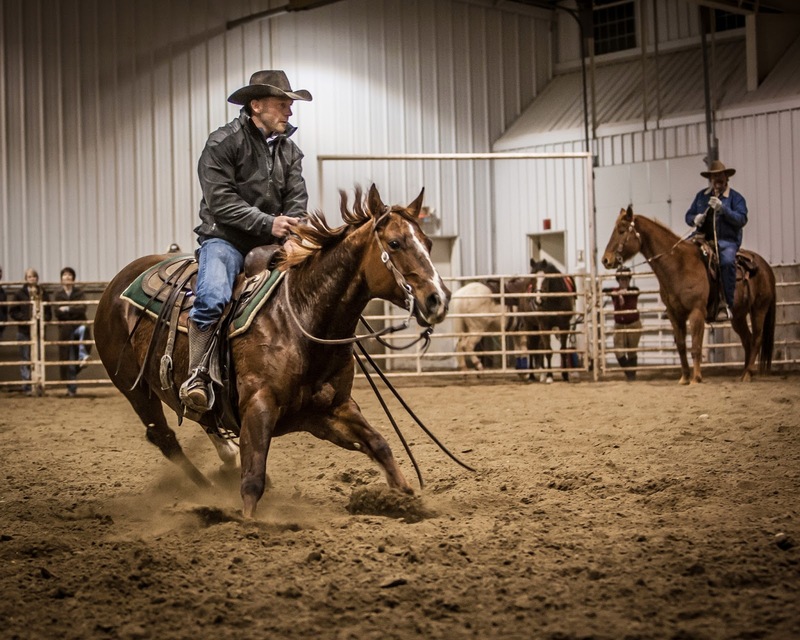 This traditional ranch job has turned into a big time sport. The demonstration began with a cowboy working his horse with a flag attached to a small rope that spanned the arena. 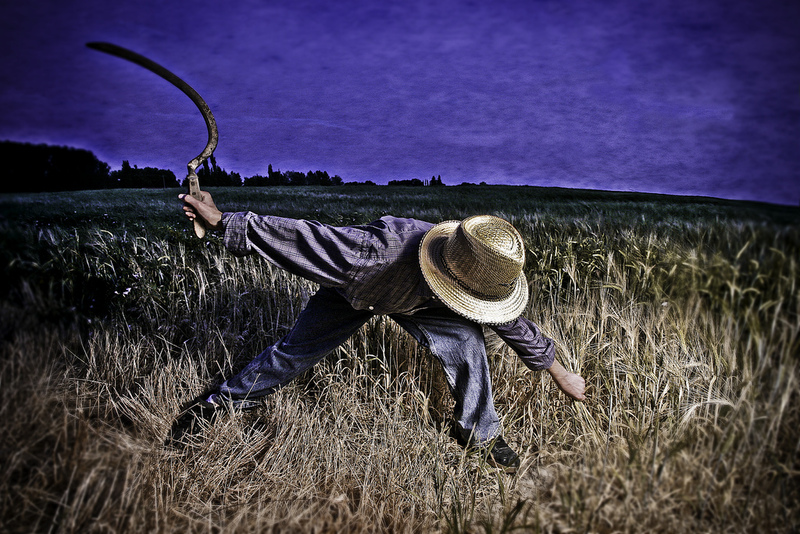 The rope was looped through a motorized wheel which the cowboy could control so the flag could move back and forth across the area. The horse is taught to stay parallel with the flag, so as the flag moves back and forth, the horse follows. The cowboys work with the horses to teach them techniques which allow them to be nimble and able to pivot back and forth quickly in order to be able to react to a young calf that is anxiously trying to rejoin the herd. Training with the flag begins in January after their first birthday and they continue with this training until summer of their second birthday. At this time, they begin working with real cows. The demonstration with the real cows was highlighted by one of the nations best cutting horses. This beautiful horse was so quick and nimble, being able to transition back and forth at lightning speed as she reacted to the erratic moves of the cow. At times the cutting back and forth was so quick and powerful that the belly of the horse nearly touched the ground as her legs exploded off the soil in order to rapidly adjust direction and maintain control of the cow. In visiting with the training after the demonstration, I asked about the transition from the flag to the live cow. He replied that they never leave the flag in their training. 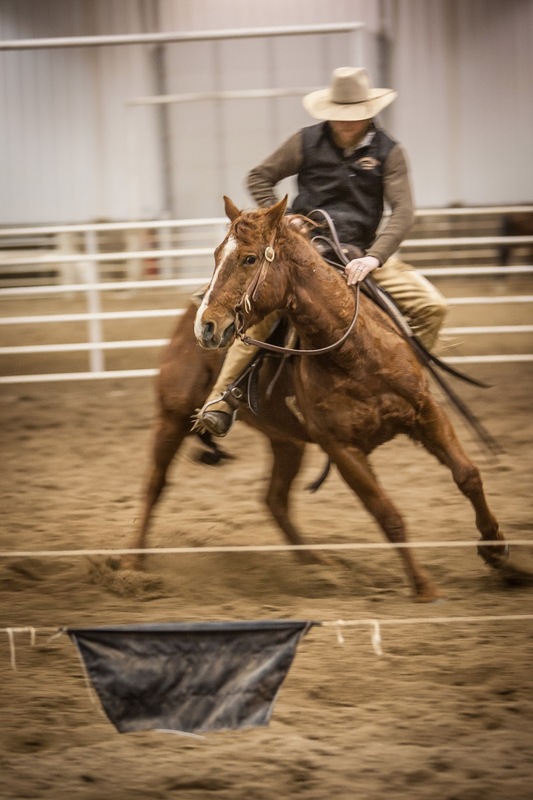 In fact, after working with a herd, if there is a situation that the horse responds incorrectly to, they will go back to the flag and replicate that situation, training the correct response to the horse. And nearly always, once they get it right with the flag, the real life application will be performed correctly. There is a great lesson for us in this. How many of us practice what we want to be good at or what we did wrong? Great athletes do this religiously, but what about every day life? Don't we want to be experts and excel in whatever it is we do? If I want to be a good parent, then I should train to be a good parent. I should read good books on being a good parent, then follow those techniques. But all along the way, if I do make a mistake, which I will, go back to the flag and fix it. Pull your child into your arms and tell them you love them, apologize for the wrong response then fix it. If you are in sales and want to be the best, learn the skills and practice them. If you fail on an appointment, evaluate what went wrong and practice doing it right. Often you have heard the saying that Practice Makes Perfect. I disagree. Practice Makes Permanent. So if you want the right skill permanent , then practice it right and make it, Perfect Practice Makes Perfectly Permanent. Strive to Live Higher and remember to keep going back to the flag to stay on top of your game of life. I just finished a phone call with a client of mine. It turned out to be a very inspiring and spiritual event. I currently have the home of Lonnie and Deborah listed for sale. They have already moved to a new location and have trusted me to keep an eye on their home and to get it sold. Today is Saturday. Earlier today, I played a small roll in a movie. Lonnie had called earlier today and left me a message about an item we had been working on. After the shoot was over, I sent a text message back with an update from my side. A couple of hours later, they called me and we had a pleasant visit. At first, our conversation was focused on the business at hand. I then told them that they would laugh at me because I had been in a movie earlier that day. We had a fun discussion about it and I shared the plot of the movie. The plot is based on the debate of the Problem of Evil. The basis of the debate is if God created everything, and if Evil exists, then there can not be a God. The story develops and leads you to the realization that God does exists. Deborah asked me what I would do when I was rich and famous, to which I replied, "It won't happen." But if it did, I went on to explain that I would use my "fame" to share inspiring stories and teach people how to become better than they are now. I feel passionate about life and its purpose. I shared with her the ideas I share in this blog. After one of the stories I shared with her, she thanked me and stated that she needed that message today. I was deeply touched. We shared appreciation of our friendship over the past year and a half. Lonnie and Deborah have a great spiritual depth and have been so kind to share with me. I expressed my sorrow that our relationship we have had would decline after their home sells. I shared how I feel frustrated from time to time in that I fail to keep in touch with great people that I have had the opportunity to learn from and grow with. Great friends from previous points in my life don't receive calls from me, but I think of them often. Deborah then shared a great lesson with me. She said, "God brings us together for a season, and a reason. Once that season is gone, then the relationship may change. The love and appreciation stays and the benefits of the season remain to sustain and carry us through life, even though we have moved on to the next 'Season'". Upon conclusion of our conversation, I knew two things. 1) I believed in the Season and Reason reality. I pondered on those precious relationships I have had over the years. I still hold those individuals in high esteem and love. Even though the frequency of contact has changed, the respect and special feelings of those relationships quickly returns when we meet on occasion. 2) We are all brothers and sisters. The feelings I have for Lonnie and Deborah are not that of a regular "client" relationship. I truly feel they are my brother and sister. The influence and support we have with each other is more than circumstance. God saw a need for us to cross paths briefly, but each of us are better for the meeting and I will ever be grateful. So to each of us. Who has God put in your life this season? What are you to share? What are you to learn? How long will your season be? As a farmer needs to plant in the spring and harvest in the fall, so we need to be aware of the signs of the seasons. And to Lonnie and Deborah...Thank you for the season. Last Sunday on the way home from an early morning church meeting, I was stopped at a traffic light waiting for the signal to allow me to proceed. I was positioned between two cars. In the car behind me was a good friend of mine. Both he and I are competative, so already I had thought about how I would manage to stay in front of him as we turned onto the highway before us. When the light turned green, and the three vehicles turned onto the highway, I shot for the open lane only to be cut off as the vehicle in front of me changed lanes. I glanced into my rear view mirror only to discover that my friend had stayed in the other lane and had closed the gap enough that a safe lane change was not available. And even though I was driving a sedan that was known for its power and handling, I was now looking at the tail lights of my friend's car in front of me. Not a happy sight, but I was happy for him and the good patience and decision he had made. I waved as I passed him; he having to slow for his right turn. Later I received a text message from him that said, "It is not always speed & power, but position that wins." 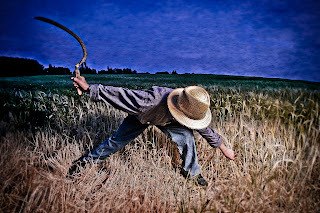 A couple of days later, I had entered a photo into a contest online. The photo was a hurried attempt to shoot something I had in my mind. It was near bedtime and I didn't want to disrupt the home schedule. So I took my son out across the street, set up the shot and got it done. It was fun. Always like being with my kids and they are also so supportive of my hobby. We had a fun shoot and ended up with this photo. The next morning after I posted the photo, I received a Private Message from a great photographer who does a lot for the site. He gave a quick complement and congratulations. I responded that I had just quickly thrown the shot together. He replied with a profound statement. He said, "Most of what I consider my best also "just happened". But I know that these brief moments that lead to a great capture wouldn't exist if there were not hours and hours of preliminary work. Everybody can make the last few steps to the top of Mt.Everest. Getting yourself into position to be able to make them - that's the trick." These two stories pounded home the reality of the need for preparation. The olympics are just a couple of weeks away. Each athlete will give their all to win in their event. As we watch, we will only see a small performance of great brilliance. We will stand amazed at the power, speed, and grace they will exhibit. But none of us will have watched their hours of preparation. How often do we look to have the victory of the day only to realize that we failed to "position & prepare"? When our teenager comes home with an attitude of disengagement, and we try to have a productive conversation only to be shunned, it is too late to position and prepare. Steve Covey stated it well. He talked about making emotional deposit into life that we can use at a later day. If we failed to build a relationship of trust with our kids when they were young, then continued to nurture that relationship; when they became teenagers, we had no deposit to withdraw from when a need arose. So too in every area of our lives. Position and preparation begin a long time before the actual act. The challenge can be, however, that we don't always know when the time to perform will arrive. It is our challenge to prepare and position every day for that which is to come. So how do we do it? 1) Take time to pray and ponder. There is an insight that can come to us as we quietly ponder our life and purpose. Clear direction will come to us and inspire us as to what we should do now to prepare for tomorrow. 2) Read good books. Many brilliant and inspiring people have left a record for us to follow. Study good books. They become deposits in our minds of things we can do in ours. 3) Serve others. When we selflessly serve others, a higher purpose in life becomes apparent. Our burdens become smaller and our self-esteem grows. 4) Exercise and eat right. By creating a healthy body, we create a vehicle for us to perform in. The better the vehicle, the more options we will have. 5) Know your destination. If you don't know where you are going, how will you know where to turn? Start with eternity. Where are you going? How about 10 years from now? Then 5, 1, 6 months, tomorrow. Without a direction, we wonder aimlessly through life and miss out on opportunities to grow and contribute and become whom we should. By knowing where we are going, difficult decisions become easy because they are made in light of our destination. Begin today to position and prepare for your future. Make a chart to your destination. Then place one foot in front of the other and get going. It will take time, but 10 years from now will be 10 years no matter what you do today. But what you do today will determine where you are in 10 years. Live higher! There once was a little boy who wanted a puzzle for Christmas. As part of this Christmas traditions, they would always open a present on Christmas Eve. When Christmas Eve arrived and it was time to open one present, he selected the beautifully wrapped box that was shapped like a puzzle and rattled with pieces inside, just hoping his sluthing would be right. He eagerly tore through the paper to reveal to his yearning heart, the 500 piece puzzle he wanted. A big smile and gleaming eyes adorned his face as he threw his arms around his parent's and thanked them for the charished gift. The boy and his dad skipped to the kitchen table and opened the box and dumped the many pieces out. For hours they worked on the puzzle as it slowly started taking shape. The warmth of the fireplace and the joy of creation kept time at bay. Dad picked up a piece and carefully looked at it. Showing it to his young son, he asked, "Do you know where this piece fits?" The boy shook his head and stated he didn't know where it belonged. Dad took the piece, leaned toward the fireplace and tossed the piece in to burn. The boy's eyes opened in disbelief accompanied with an expletive gasp of horror! Dad then began to teach his son a life's lesson. He said, "Sometimes life can be like this puzzle. We receive a piece that we don't know where it fits, but we end up tossing it out instead of waiting to find where it belongs." Frequently in life, we have experiences that just don't make sense. It is not until the puzzle gets further a long that we find a fit for that experience. I read a history of a man who went through many trials in his life. One day during a particularly trying experience, he plead to God to know why he had to go through these hard times. Feelings of peace came into his heart and he recounts a list of trials that he went through flowed through his mind in details. Then the thoughts that followed changed his understanding and provide inspiration to each of us. The thoughts were, "All these things shall give thee experience and shall be for thy good. The Son of Man hath descended below them all. Art thou greater than He?" As we endure hardship, if we look around, we find those that endure more than we do. It is like the sign in the shoe shop which reads, "I used to complain about not having shoes, until I met one who had no feet." Like steel, we are strenghtened as we go through trials. There is no other way for meaningful growth to occur. As we go through trials, think about the gain you will receive from enduring the fire. Be grateful for the opportunity to grow and stretch. Then look around you and extend a hand of friendship and strength to those around you who need your support during their trials. Together we can grow to become great. Like every great individual who has changed the world for better, their histories are filled with trials of growth. So the next time you feel like giving up, take a breath, look to those who have gone before, and say, "This too shall give me experience and shall be for my good!" "If we live for ourselves, when we are gone, we will leave behind stuff. If we live for others, when we are gone, we will leave a legacy." This was part of a talk I heard a couple of weeks ago. These aren't the exact words, but the content is the same. I am currently unable to get a copy of the talk but hope to soon. Yesterday an acquaintance of mine passed away. He is the father of a co-worker and his death was not expected. Times like these bring into focus a larger view of life. When I heard of his passing, I reflected on my association with him. I relived some of the conversations we had and recall with fondness, his genuine smile and the gleam in his eye. I called my co-worker to share my heartfelt sympathy at her loss. Her crying accented the depth of love she had for her father and the shock at the untimely loss. Each memory dug deeper into her love and admiration for her father. I started wondering about my parents. I wondered about my kids and wife. What about my friends? If I were to die today, I think I would be missed. But would I only leave a memory behind and a temporary void in the lives I lived in? Each of my 6 children have been named after someone great. Grandmothers, spiritual giants, great-great-great-great grandparents, and other inspiring namesakes. Why did these individuals come to mind? As my wife and I thought about each name, it was those who are or who have left a legacy by the way they lived their life for others. Those who have passed on whose names we have used as inspiration for our kids, created wonderful legacies which inspire our family generations since. So what should we do? Take this challenge. Take two pieces of paper and write on the top of one, "My Obituary", and on the second, "My Legacy 100 Years Later". Now write out what you would like each of these two things to say. Now live your life to fulfill these desires. To create a legacy takes as much time as it does to not. So why not start creating your legacy today. There is an eternity waiting for your legacy. Don't disappoint the future. Have your ever watched a child learn? It is amazing to me the persistence they have. My 7 month old daughter is just mastering rolling over. It has taken her weeks to get it down. Even last week she was still rolling over onto one arm which would put her face in the carpet and no arm to push her up. She didn’t like that very much. From one small accomplishment to the next, children continue to succeed. In a few more months, my daughter will start to get up on her hands and knees, then shortly after she will learn to crawl. Next comes walking. This is where things start to get interesting: the bumps, the bruises, and the pain. I almost hate to take my kids out in public during this learning phase. They look so bad! But they fall, get hurt, and then get back up until they get it right. Sometimes it takes weeks or months, but they persist until they succeed. When we set our sights on a goal and start pursuing it, what happens the first time we “fall down” and get a bump and bruise? We tend to quit; or at best, we try a couple of more times, then quit. As we begin life here on earth, we have a large potential and inclination for success. Without it, many of us may still be crawling around today, and maybe some wouldn’t be toilet trained yet either. Whether she was right or not is irrelevant to this discussion. But as we become more aware of our surroundings, we begin to put more value in the comments of others, and strive to live up to other’s views of ourselves, and little by little, the unconquerable spirit is whittled away and we become less and less believing in ourselves and our potential. Two things I think we should learn from this. First, how do we interact with the children around us? Do we encourage them and build up their belief in themselves? Or do we contribute to the taking away of their inherent capacity to succeed? Second; the next time you set a goal and have a setback and want to give up, get down on your hands and knees and crawl around for a minute; the ability to succeed never left you. Then get back up on your feet and get after it again, and again. Your potential to contribute to your family, your neighbors, and society is great! What legacy are you leaving? Someday in the future, we will all leave this life. When that day arrives, will you have completed everything you wanted and needed to do? When that day comes none of us know, but we do have NOW! The gift of NOW is only valued by how you use it. Start NOW the dreams you have always had, and do those things that will leave the legacy that is fitting of you and the success you realized as a child. Just over a year ago, I received a call from one of my clients to sit down and visit. Upon arrival at his home, I could feel a level of tension; I knew there were issues. At the conclusion of our discussion, I had been fired, and I had deserved it. Nearly a month earlier, I had promised to contact him every week and I had not lived up to the deal. We had interacted via the internet several times and on the phone multiple times since that promise in regards to a pending offer and negotiation. But of the phone calls, only two were originated by me. It doesn’t matter that we had over 40 showings and two offers on the property, I failed to live up to my commitment and promise. Why do I share this experience with you? I do so in the hope that you can learn from it. My initial response was to try and “justify” the situation. I recognized this early in the discussion and quickly realized that approach was wrong. I then asked for specifics, took notes, apologized, and then promised to work with the next agent in getting the property up on the market quickly. Had I kept that defensive attitude, I would have lost an opportunity to learn. I had a miserable weekend. I stewed, worried, didn’t sleep, and stressed. I hate to let people down. But as I went through this process, I started to ask myself questions. If I am failing with this client, am I failing with others as well? What about my family? What about my friends? What about myself? As I took this inventory, I discovered that this same trait was bleeding into other areas of my life as well. Not a good thing. I am now in the process of correction. It may take a while, but identifying the problem has been the first step. So I also ask each of you to hold me accountable to this, as well as I apologize if you have been the recipient of this mistake. As stated earlier, our natural response when we make mistakes is to “justify” and put the blame somewhere else. By doing so, we dismiss accountability and loose an opportunity for growth and correction. I once read a book that stated criticism is like a bucket of water being thrown on you. There is an initial shock of impact, followed by some irritation of grains of sand in your eye, but if we look carefully, we may find a small piece of gold which will help us grow and improve. I wish I wouldn’t have had this opportunity to learn, but I am grateful for the education I have taken from it. Let’s look at life with open eyes. Take the mistakes as opportunities to learn and grow. I anticipate each of you are imperfect like me. I doubt I will even get close to perfect during my life, but I hope to improve continuously.